"Offers both hot and cold temperature correction"
Offers both hot and cold temperature correction to keep dogs comfortable. 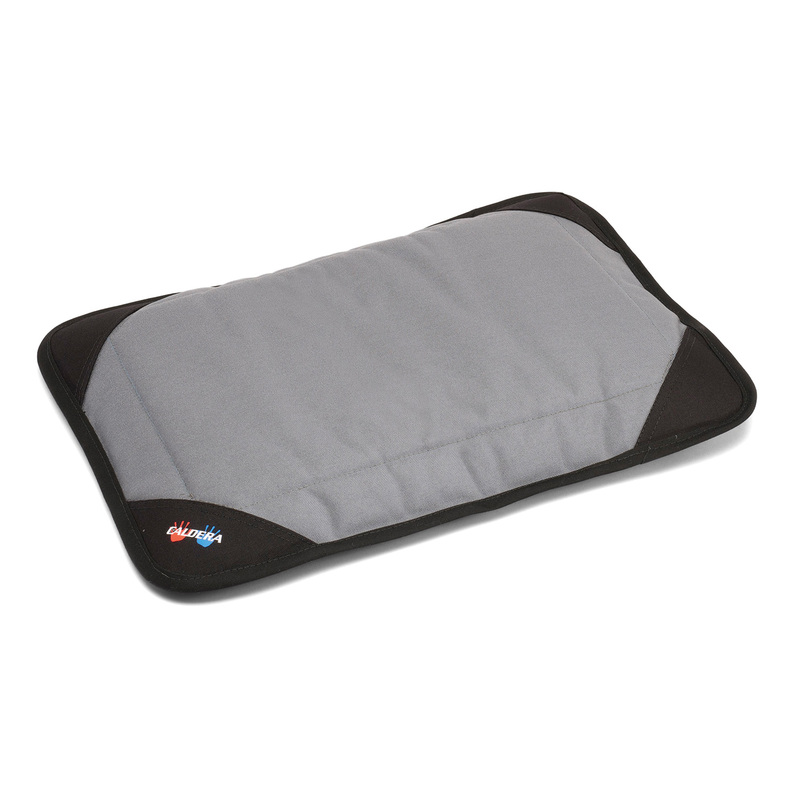 The non-toxic therapeutic gel pack fits inside the bed's insulated insert to warm or cool pets for an extended period. Simply freeze or microwave the included gel pack to achieve the perfect temperature. Made from chew and scratch resilient 1000 denier cordura fabric. Gel pockets and rounded corners reinforced with 40oz truck tarp material to withstand wear and tear. The small pet bed measures 10" x 24". Error! Sorry, something seems to have gone wrong.